Certainly the most drastic departure from source material in terms of design is Cobra Commander in Rise of Cobra as protrayed by Joseph Gordon-Levitt. 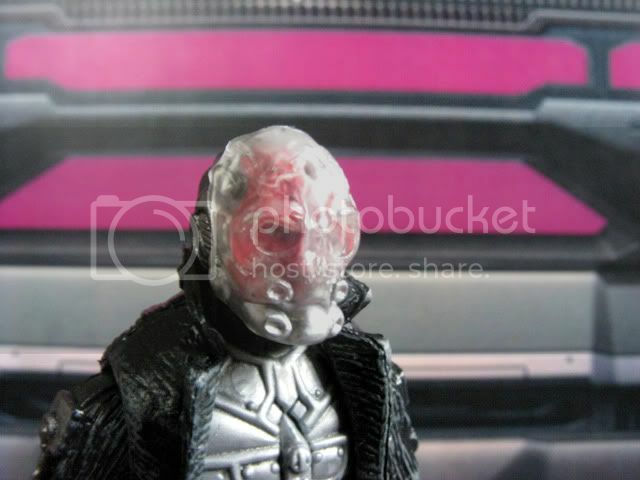 Thhe figure represents the character Rex Lewis as Cobra Commander, a look which only appeared in the last few minutes of the movie. 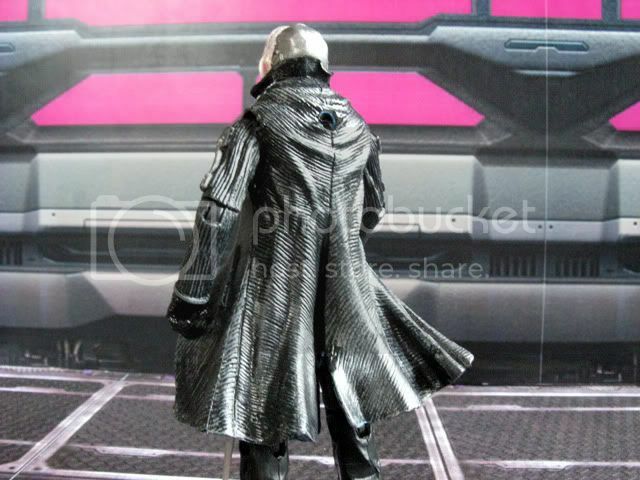 Movie Cobra Commander has a black coat over a silver chest plate (and segmented spinal armor at the back) and black pants over pointy-toe dress shoes. 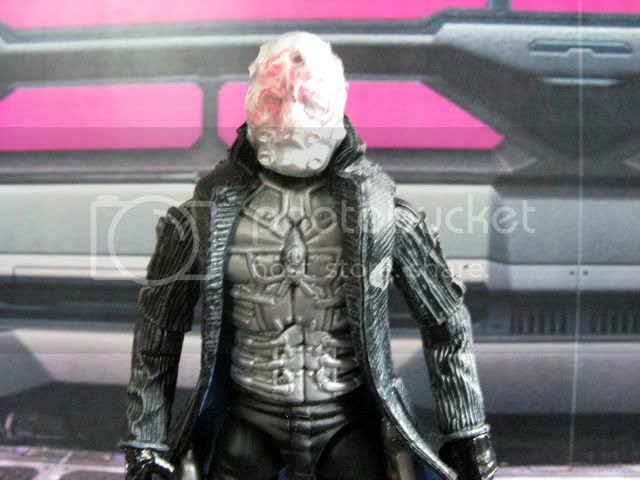 The most eyecatching part of the movie design for Cobra Commander is the clear facemask over his burned face. 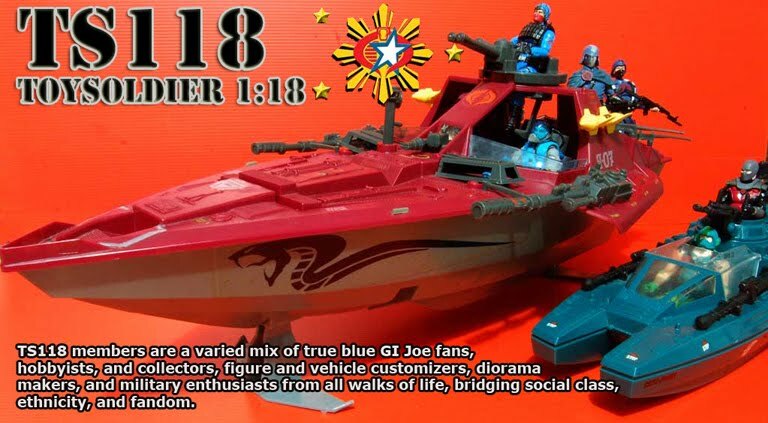 Cobra Commander comes with the hitech hypodermic syringe he uses in the movie to inject nanomites, the nanomite killswitch device, and a new mold of the classic hairdryer gun. The hairdryer gun no longer has the peg but the two other accessories do have pegs to attach to the Commander's thighs... no holsters, they just plug into his thighs. 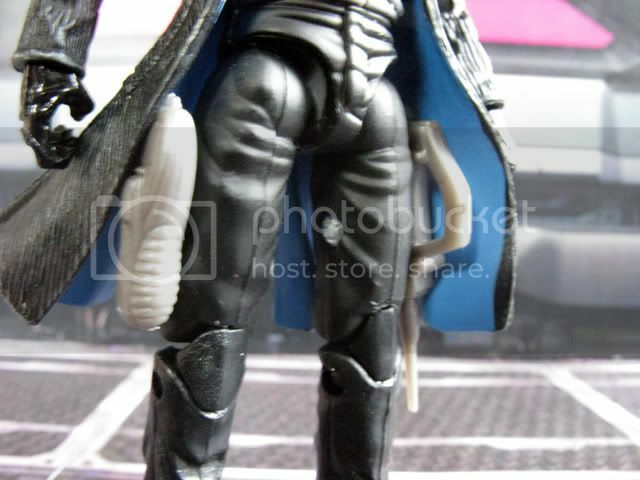 Cobra Commander also comes with a pet cobra sculpted poised ready to strike. 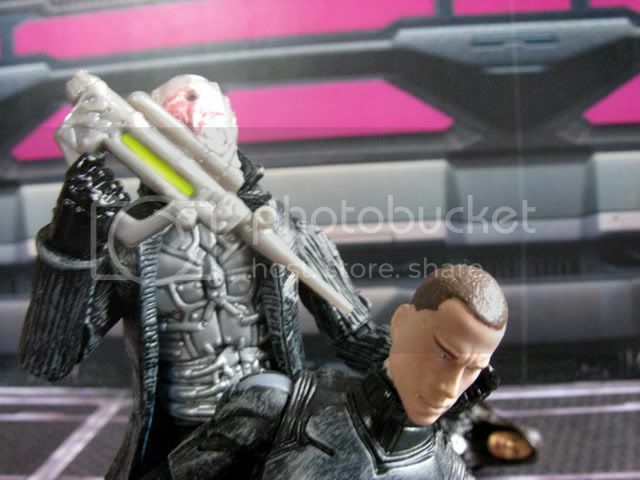 Cobra Commander's giant spring loaded launcher comes in the form of a giant spring loaded nanomite syringe. 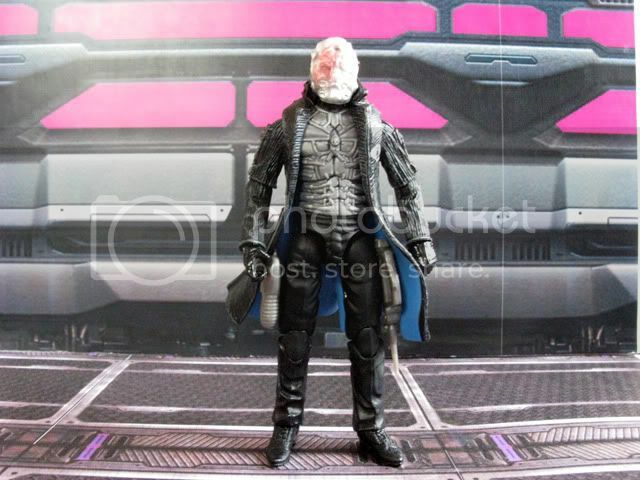 If this wasn't Cobra Commander, I wouldn't have bought him. 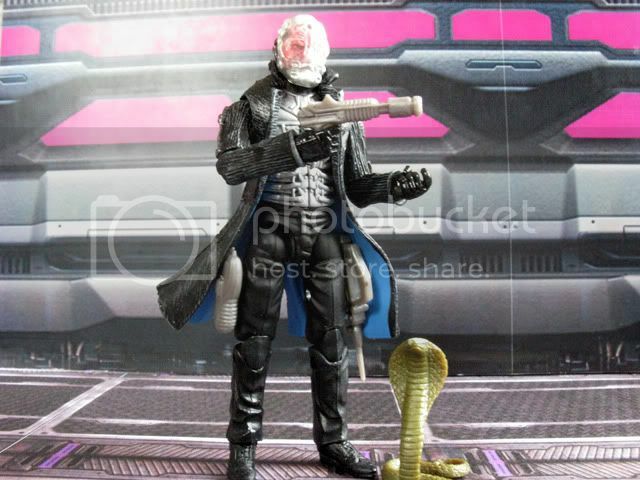 I'd rather use the Rex Lewis figure as my Cobra Commander representation for my movie figure collection since that's how he looks for almost the entire movie anyway.